This is a tough post for me to write. 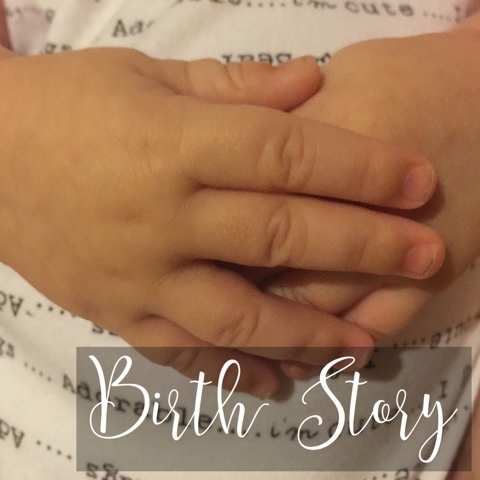 Alex’s delivery wasn’t easy and my first 48 hours as a mum were equally as difficult. I delivered Alex via Cesarean section and I bottle fed him. This is the part where those who have had a natural delivery and breastfed, judge me and make me feel like a failure – even if it is unintentional. But before you do, at least know why. Why he was delivered via c-section and why I bottle fed. Let’s start from the beginning. I was due on the 9th April 2015. After many months of morning sickness and waddling round like a beached whale. I felt horrendous by the time my due date came around. But on that day I was so happy, I knew that in the following 2 weeks I was going to be holding my baby boy. The 9th came and went. As did the 10th and the 11th. When the 12th April came, I went into labour. Finally! Little did I know I would spend 3 days in labour. 3 days!!! I was so tired by the morning of the 14th and in so much pain that the hospital finally admitted me, despite not being more than 1cm dilated or anywhere near ready to actually deliver. So instead I had not one but 2 doses of pethadin over a 9 hour period. I hadn’t realised it until my partner told me but I had actually managed to get 9 hours sleep! Then the midwife came round to check me out and whaddaya know??? I was 7cm! Ready to make the move up to the delivery suite! Yay! This meant I could get myself onto the gas and air. I honestly didn’t like the stuff. It was great at first but after a while it just made me feel sick, and wasn’t killing the pain at all. Que the epidural. This was my godsend. Until shortly after being given this, and having my waters burst, I was told that my little boys blood oxygen levels were dropping. They checked again an hour later and it had dropped significantly lower and the midwife got the surgeon involved. He decided a cesarean was the way to go. I could say no but I would be endangering his life. To put it into perspective as to how much of an emergency my c-section was, I was into the theatre and he was out within the space of 10 minutes. The cord has wrapped around his neck and was preventing him from breathing. It now made sense as to why I hadn’t felt him moving. It’s because he couldn’t. I could have lost him. If it wasn’t for my surgeon and midwife, my little boy might not be here today and I cannot thank them enough for that. Then came the difficult bit! Breast feeding. He simply would not latch. I tried, tried and tried again. Nothing. 3 days came and went and he only drank around 10ml in that time. I tried so hard I exhausted myself. I broke down at 2am on the recovery ward with 2 other women who seemed to be doing perfectly fine with their babies. The midwife took him away so I could rest and tried some pumped breast milk. He refused it. They asked if I wanted to try formula. I said if that was what was best for him then yes, anything is worth a try to make him happy. He took the formula. No complaints. No fuss. No bringing it back up. He took a whole ounce of milk. He was happy. And that’s they way we kept it. Do I wish I had tried again or tried harder? Of course I do. But do I regret it? Not a single bit. My little boy is the happiest child on this planet and I wouldn’t have him any other way. Of course, that doesn’t stop people judging, criticising or throwing it in my face that I didn’t deliver naturally nor was I able to breast feed. And I shouldn’t feel bad about this, but I do. I feel like I’ve failed. Failed myself, my partner, and worst of all, my little boy. All because of remarks that people have made, not even necessarily to me. They could have said something on social media to someone else, not even aimed at me, and it hurts. I feel like someone is rubbing salt into an ope wound. Just one more thing before I end this post.And that is to simply be aware of how you are making someone feel. Even if you’re not directly saying an insult, parading your ‘perfect’ family and doing things ‘the right way’ can affect someone in ways you cannot even begin to imagine. So think, please, think, about what you are saying. And how it can affect someone. For all you expectant mums out there, I cannot urge you enough to take some time out of your day and head to the Kicks Count website. If it weren’t for them, I never would have known how important my little ones movements were, even during labour. Next Post Juicy Fuel Cola | The Best Cola Ever? ?